Will you be able to get a “steal” when buying or leasing your next set of wheels? While negotiation tactics matter, experts say that timing is a bigger factor than shoppers may realize when it comes to getting a great deal on a new car. September is an exciting month for bargain hunters with summer clearance and back-to-school sales. Likewise, car dealers are in the prime of summer selldown season, when they try to clear their lots of the outgoing model-year vehicles to make way for new inventory. Accordingly, September is an excellent time to buy or lease a new or used vehicle, and the editors at Autotrader are offering tips to guide shoppers through this process. Look for seasonal trends. The season in which you purchase your vehicle matters. For example, late summer and early fall is when new model-year vehicles are rolling into dealers’ inventories. Some of the best deals are on “leftover” models. For instance, a 2016 model may be steeply discounted once 2017 models arrive. In some cases, dealers will even have the previous model year in stock. For example, Autotrader.comstill has listings for brand-new 2015 model vehicles. End of the …The prime time to get the best deal is often the end of the weekend, month, quarter or year. If a lofty “end of period” bonus is reachable, salespeople might be more willing to work with you on a deal if it helps them garner an even bigger payout for beating quota. Also, end-of-day shopping can yield advantageous pricing if a weary dealer is ready to go home, but make sure you’re serious about your car purchase and aren’t wasting anyone’s time. Shop smart this holiday. Car shoppers should look out for holiday and model-year-end specials. Usually sales events of this kind offer good incentives to buyers, so you might be able to work out a lower price than at another time of the year. Holiday offers are often better, because automakers add extra incentives to meet annual sale goals and targets. 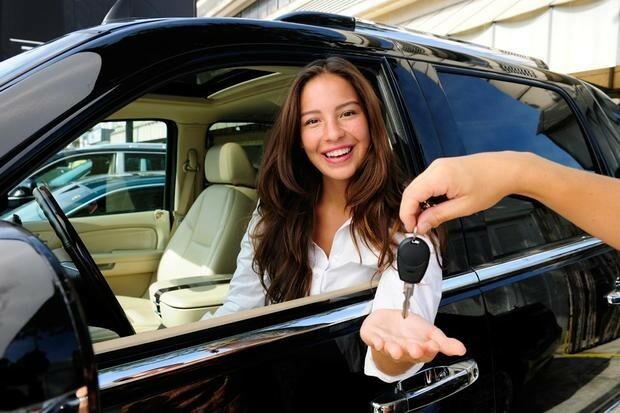 For more information on the ins and outs of car buying, visit Autotrader.com/NewCarBuying.